Estoril Beach House is not only a place where you sleep when visiting our country. 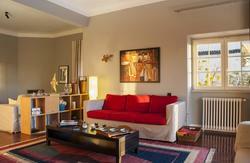 To stay at the Estoril Beach House is to visit friends who live abroad. All the ‘friends’ who will visit us will find a cosy, informal and friendly atmosphere, also because the Property is run by a family. More than knowing places and seeing monuments, to travel is also to know the culture and the people who live in that country. And those are the main values we uphold through the meeting of generations and cultures, the exchange of ideas, personal experiences and visions shared in gatherings, dinner parties and events we organize. But as we like to say, “traveling is also a journey into yourself”, and we know the importance of respecting each other’s space. At the end of the day, what we mean is that we are willing to share this journey with you and, if you so wish, give you tranquility of mind and contribute to find the best in yourself. With that in mind, at Estoril Beach House you can enjoy yoga sessions, our painting corner, table games, the library where you can take someone’s book and leave the one you just finished, or taste our Portuguese cheese and wine while you enjoy a good talk and music in the lounge or in the garden during much of the year. You can practice nautical sports like surf, bodyboard, sailing, windsurf, kite surf. And if you are a beginner, don’t worry: there are schools and academies for all these sports in the vicinity. You can also hike through the picturesque village and mountain of Sintra or just take a stroll on the seashore walkway which links Lisbon to Cascais. Jam sessions, karaoke, sunset parties, bbq, showrooms, art exhibitions, gourmet moments and dinner parties will be good memories that you will never forget. 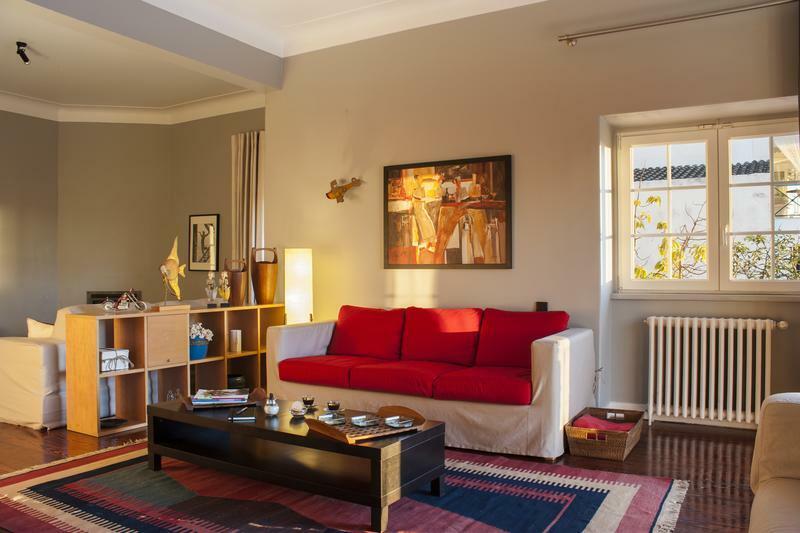 -If you are coming from the airport, take the red metro line to Alameda and change to green line that will take you directly to Cais do Sodre train station. Estoril is connected to Lisbon and Cascais by a suburban train that runs along the river Tejo. This 30 minute journey is not just the most inexpensive way to travel to Estoril but, as the train goes along the coastline you will pass under the 25 de Abril bridge, the Jeronimos Monastery which dates back to 16the century, the Monument of the Discoveries, that celebrates the achievements of Portuguese explorers, the Torre de Belem and the wonderful beaches that follow. Sit on the left side of the train for the best views. Train departs every 20 minutes. Price per person 2,15€. 1.Give us a call or send us a message and we will be glad to get you from the trains station. 3.Start a 7 minutes’ walk throughout the pleasant Casino gardens to Estoril Beach House. Book our shuttle service one day before your arrival by sending us an email to reservations@estorilbeachouse.com or calling to 00351215921594 and our staff will pick you up from the airport to Estoril Beach House. If you bring more than one bag please let us know in advance so we can find the best solution.